New investment is set to position Florida as a leader in digital currencies, building a pathway of investment, adoption and usage in cryptocurrencies by the general public. Mercury Cash, is a digital wallet company for cryptocurrencies that helps advance the disruption of the banking industry. Mercury Cash is creating solutions for common citizens to excel in their financial capacities, promote new and reliable ways for savings, and finding faster and cheaper ways to invest in cutting edge financial technologies. Mercury Cash partnered with Merging Traffic to leverage investment and expertise to facilitate the use of cryptocurrencies in the current economy and become the future of banking. Cryptocurrencies add a sense of security by hashing every transaction and adding it to a ledger that is kept on many different servers, making it very difficult to fake transactions. The ability to eliminate third parties reduces the cost and time of transactions, creating more efficiencies for businesses and individuals. Mercury Cash is bridging the gap between digital currencies and the current economy to transform the way we interact with money. With cryptocurrencies on the rise, Ethereum has been standing out as the decentralized Blockchain platform of choice. 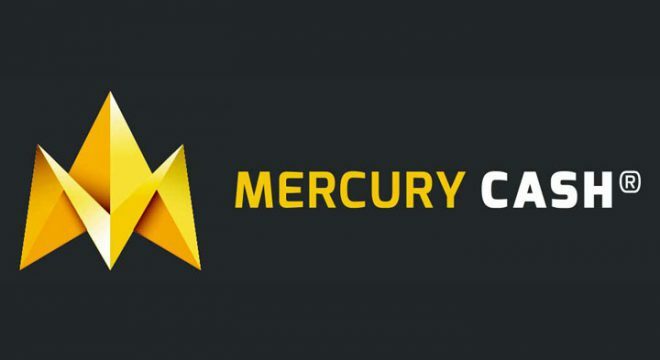 Mercury Cash has capitalized on the Ethereum rise by providing different levels of support on its platform allowing financial transactions between people without the need of a third party such as banks and merchants. Due to Blockchain’s transparent and real time transactional nature, Mercury Cash believes it will become the preferred choice for reliable, and cost-effective ways to make any exchanges. Mercury Cash has seen a 200% increase in demand in a 45-day period, going from 500 clients on November 1st to 1,660 clients by the end of December, 2017. Currently, Mercury Cash services allow individuals and institutions to exchange the Ethereum cryptocurrency to USD and vice versa. Not only can you exchange the currency but also safeguard it by creating an account within Mercury Cash to hold tokens/coins. This means that companies can, in real time, use cryptocurrencies to pay their customers, supply chain managers, invest in retirement funds, and more. Merging Traffic leaders have become leading experts in the Blockchain field, recently releasing the book, Blockchain Enabled Applications: Understand the Blockchain Ecosystem and How to Make it Work for You. The partnership helps to further evaluate the reliance of cryptocurrencies and how they are deployed into the current economy. Merging Traffic is a Global Capital Formation Engine™ catalyzing growth, investment and access to capital in emerging technologies. It’s a combination of targeted fund raising and diversified fund investments.